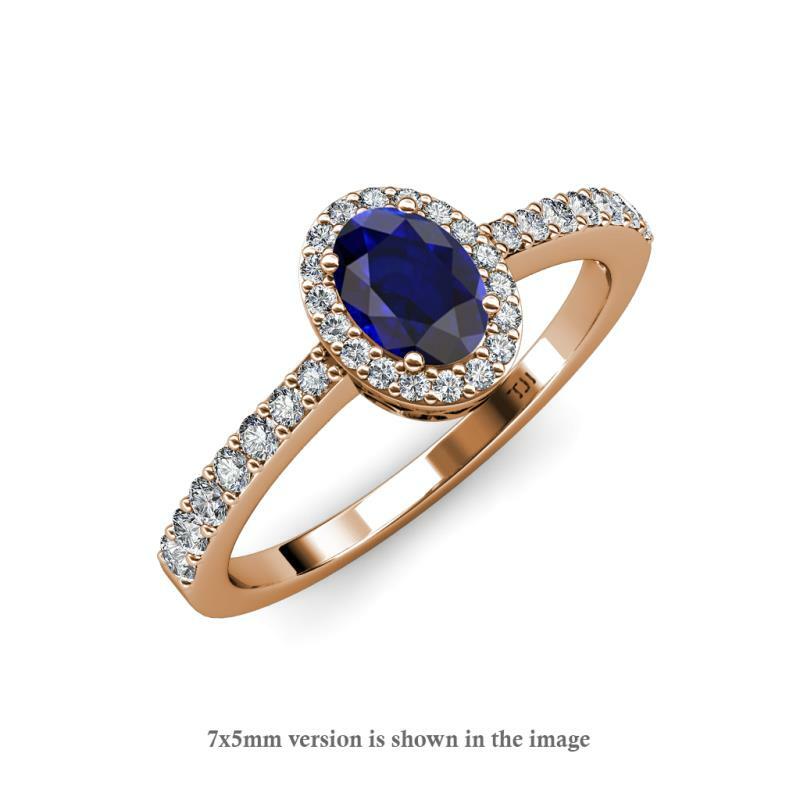 Desire Oval Cut Blue Sapphire and Diamond Halo Engagement Ring Impressive Engagement Ring Embodies an Oval Blue Sapphire enriched by halo of prong set Diamond that showcases luxury and is sure to give immense presence on the hand. Condition: $5239 New In stock! Order now! Order in 1:37 hrs to get it by 29th Apr 2019 with Overnight Delivery Learn More. Normal processing time for this item is 4 to 5 business days before it ships and it will ship via your chosen ship method after the processing time is complete. 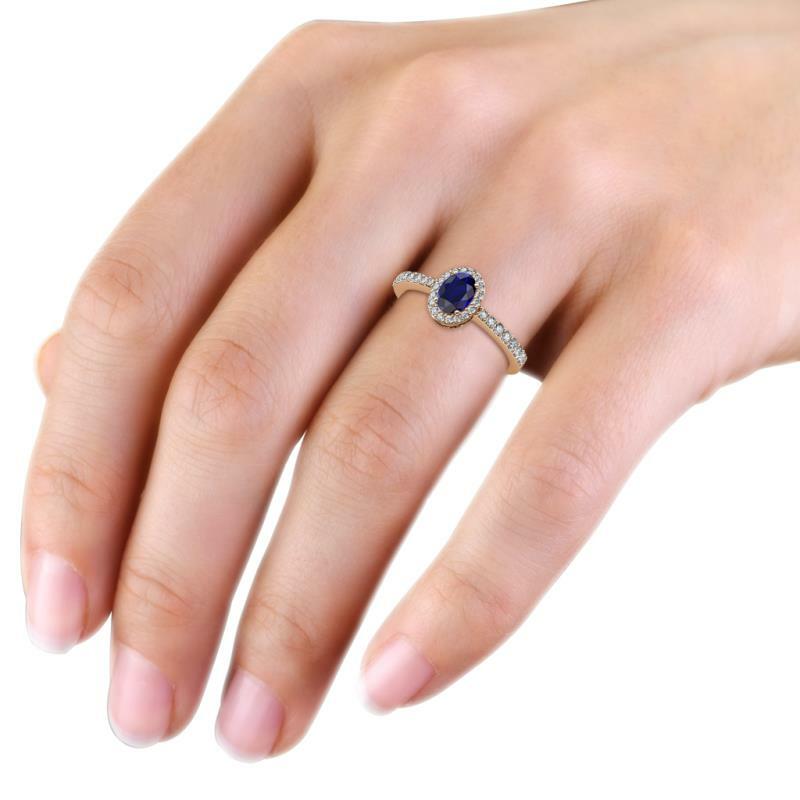 Impressive Engagement Ring Embodies an Oval Blue Sapphire enriched by halo of prong set Diamond that showcases luxury and is sure to give immense presence on the hand. 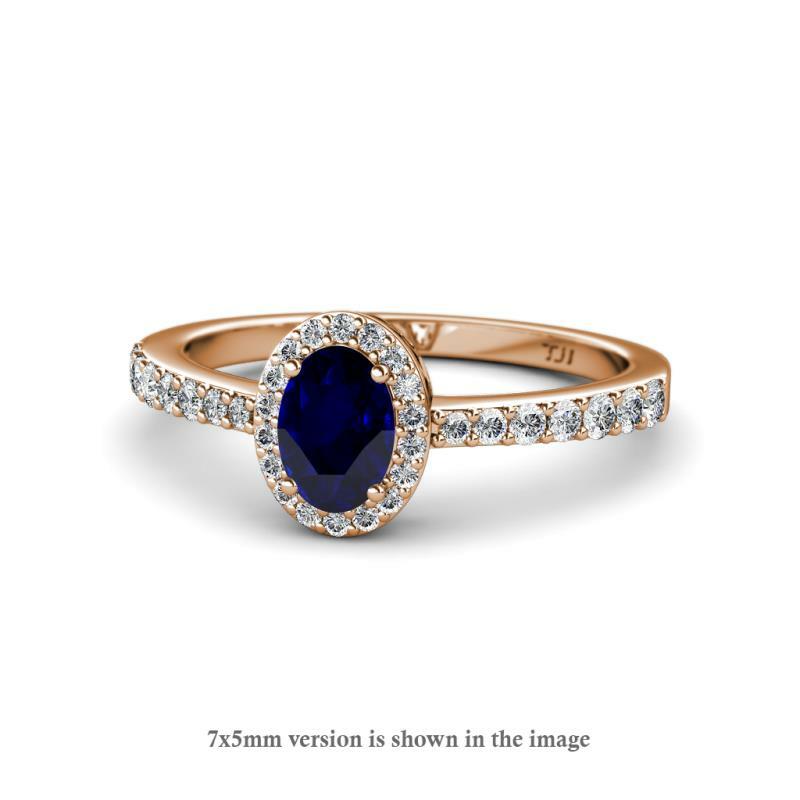 34 Round Diamond and 1 Oval Shape Blue Sapphire set using Prong Setting. Product is Smaller than what Appears in the Photo. It is Enlarged to Show Details. Vijay is everything you could ask for in a merchant. Gets back to you IMMEDIATELY, offers suggestions, dependable, flexible...a real gentleman. Beautiful work and fantastic service. Highly recommend Trijewels! Vijay will NOT disappoint you. All merchants should be as attentive and easy to work with. Vijay at Tri Jewels went above and beyond to take my vision and to bring it to life. I am so pleased with the quality and craftsmanship of the diamond. 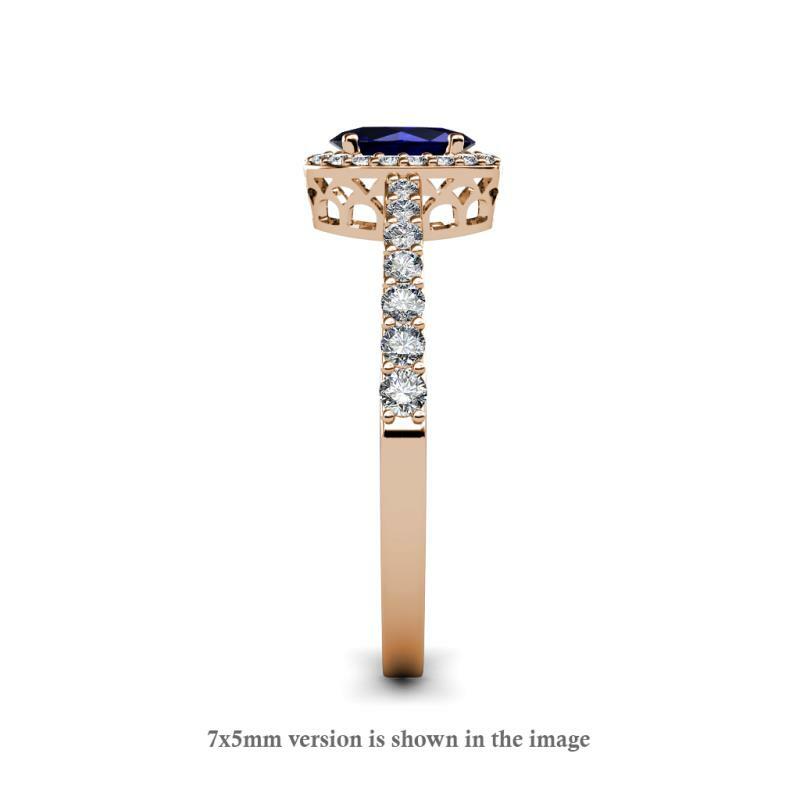 Vijay is professional and is very thorough in explaining the process of designing a ring. It is quite evident that he is passionate about the quality of his work. He was flexible, responsive and took the time out to assure that all my questions were answered. When I decided on this beautiful ring, Vijay made sure to speed up the process so that I would get it in time for the proposal. From the beginning to the end, Tri Jewels was there to make this process as smooth as possible. Needless to say, my fiancé absolutely loves the ring and has not stopped receiving compliments on this ring. Thank you for all your help! Looking forward to purchasing more jewels from you soon. My husband wanted to get me a new ring as we are celebrating our 10 year wedding anniversary. He found the ring that he wanted but was very nervous as it was a big purchase and we would be ordering it online. So I read reveiews, and I emailed Trijewels as well. Within minutes Vijay emailed me back asking what we were looking for and how he could help us. I told him what we were trying to do, he said they could do it absolutely and he could send me a sample to make sure it was really want we wanted. So we placed our order, and received the sample very shortly after that. The service that I received from Vijay and Diva from Trijewels was beyond AMAZING!!!! I'm sure that I was a pain with all of the emails I was sending, I also changed where I wanted my ring shipped. Anytime in the future that we will make a jewelry purchase it will definately be from Trijewels! My ring was also ready and on my finger before expected! The quality and beauty of my ring is INCREDIBLE, I honestly could not be any happier!! Also before they shipped my ring I received pictures of it as well!! The ring was perfect and my fiancee gets coments all the time on the right. She always says how sparkely it is. Dealing with TriJewels was easy as can be. I was a little nervous as this was the first time buying online. Communication was top notch and it was shipped and packaged well. I'd have no problem ordering from them again! So I wanted to find my gf her dream engagement ring which happened to be a peridot with diamond halo in a rose gold setting. Not knowing much about jewelry I went to some of the bigger known jewelry stores who informed me that they could not make this happen. I turned to the internet and came across trijewels.com. 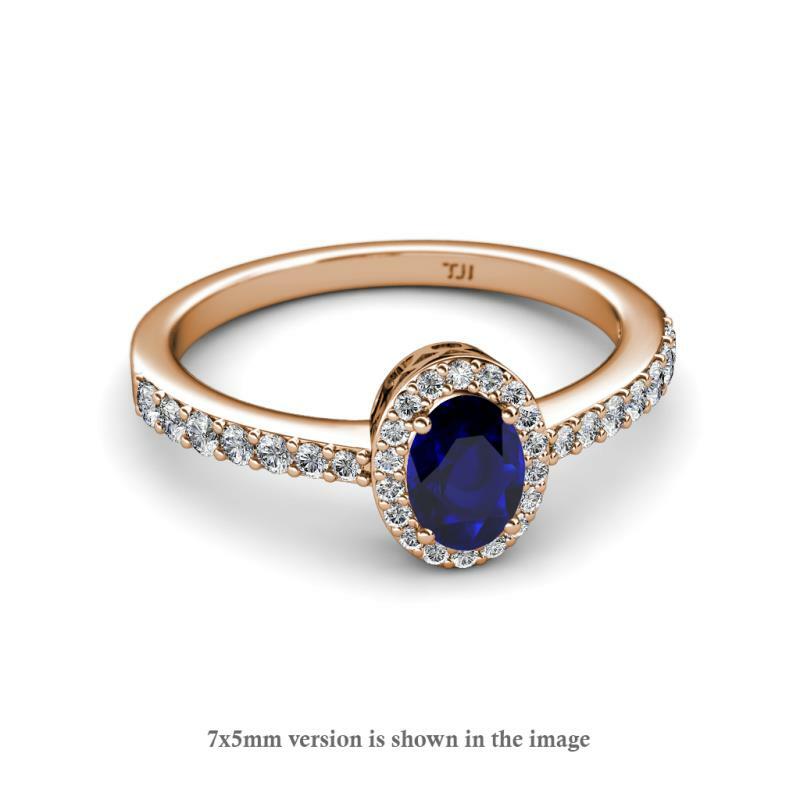 like others have said the web site was easy to navigate and I found it, her dream ring. I was sceptical buying online to I called the number listed on the site. I ended up talking to Vijay and he assured me that everything would be perfect. I placed my order that day and within 4 days the ring was shipped to me in Georgia. What a great experience from start to finish. I couldn't be more pleased with the whole thing. Ring looks great and arrived just in time for our beach trip. 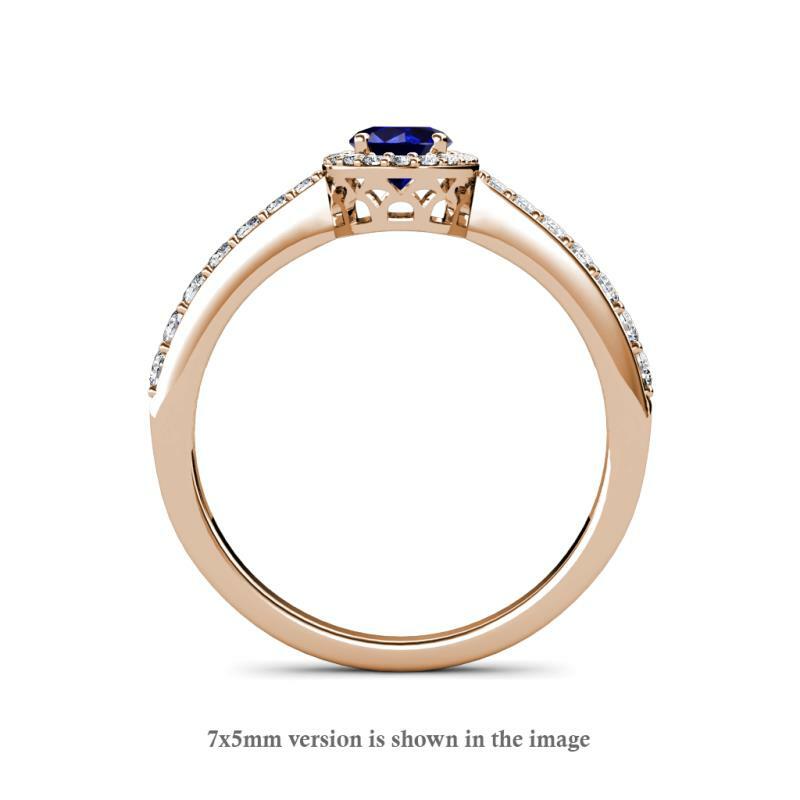 I recommend trijewels.com to anyone looking for a great quality ring at a fair price. Thanks Vijay. Hope she ses yes!